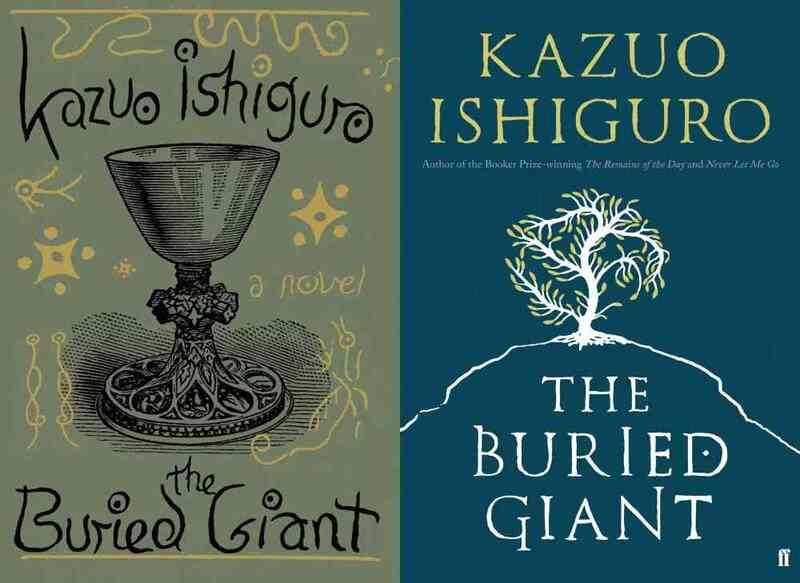 When I started my investigation into the current trend of “Literary SFF”, one of the books I was most keen to read was Kazuo Ishiguro’s The Buried Giant. The point of this series is to discover what literary heavyweights might create when using tropes that are traditionally considered genre. Whilst Ishiguro has written books with science fiction-fantasy elements before, most notably in Never Let Me Go, The Buried Giant caused something of a stir when it was first published, as it is out and out fantasy. There are no blurred lines. You can’t call it magical realism. It’s not speculative. It’s fantasy. Whilst the labeling of novels can be helpful, particularly if you own a bookstore, they can also be misleading and used as a way to pigeonhole, denigrate, or ignore a novel’s worth. Define a novel as “genre,” and it is all too easy to dismiss. Conversely, labels can over-inflate opinion. Calling a novel “literary fiction” adds gravitas. Critics will often line up to sing a novel’s praises even if it’s dry and boring. Of all the books I’ve read so far for the series, The Buried Giant is the one that most destroys the myth of labels. It contains many tropes associated with the fantasy genre–a quest, knights, ogres, and dragons–but it is also a work of rare beauty. A novel where every word has been weighed before use. The result is a story filled with layers and multiple meanings that might just be a work of genius. The Buried Giant feels like a work of early fiction. A fairy tale filled with allegory, one shade away from oral storytelling. It recalls The Canterbury Tales, Don Quixote, and above all, The Death of King Arthur. (Arthur is named-checked a couple of times and Sir Gawain is a principal character–a nod to Professor Tolkien, perhaps?). The setting is Dark Ages Britain. A time of myth and superstition. Even moving from town to town brings a sense of mystery and foreboding. Villages of “Britons” lie close to newly forged Saxon settlements. Distrust exists between the indigenous (my word) population and the new arrivals. Mistrust is in the air. The real-world parallels here are obvious. This is not a traditional fantasy setting, which tends to feel like heroic quests in agricultural northern Europe. Instead, Ishiguro’s Britain feels like an agoraphobic’s worst nightmare. …navigation in open country was something much more difficult in those days, and not just because of the lack of reliable compasses and maps. We did not yet have the hedgerows that so pleasantly divide the countryside into field, lane and meadow. A traveller of that time would, often as not, find himself in a featureless landscape, the view almost identical whichever way he turned. This featureless and the difficulty of long distance communication is essential to the themes of the novel. Above all, though, The Buried Giant is a quest story. Axl and Beatrice set out to visit their son, who left many years ago, and now lives in a settlement several days away. The couple are old, their usefulness to their community on the wane. One senses this is to be their final journey. Much like the Wizard of Oz, they meet people on the way, travelling the same road, who join their quest. They journey with a young boy cast out from his village, a formidable Saxon warrior, and the ageing Sir Gawain, one of the few remaining Knights of the Round Table. As the journey unfolds, a sense that all is not right gradually seeps into the tale. Most notably that memories are hard to keep a hold of. Nobody can remember very much other than shadows of the past. The US and UK covers side by side. The prose is spare but beautifully constructed and, unlike most genre fantasy novels, there is little embellishment of the details. Like many fables and legends, The Buried Giant is laden with allegory. There are myriad interpretations and real-world parallels. Themes of loss, acceptance, and the dangers of ignorance bubble to the surface again and again. The Buried Giant examines human nature, most particularly our inability to learn from the past. Closed-minded attitudes, superstition, and fealty to outmoded, incorrect assumptions seem reasonable when placed in the Dark Ages. Yet, transpose these attitudes to the 21st Century, which I believe Ishiguro intends us to do, and they begin to look like willful ignorance. There were places where I worried that The Buried Giant’s delicate confection was going to fade away into nothing. The middle section left me restless, but as the novel moved into the final third, towards its devastating conclusion, I was gripped. On finishing, I was left wrung-out and overawed. 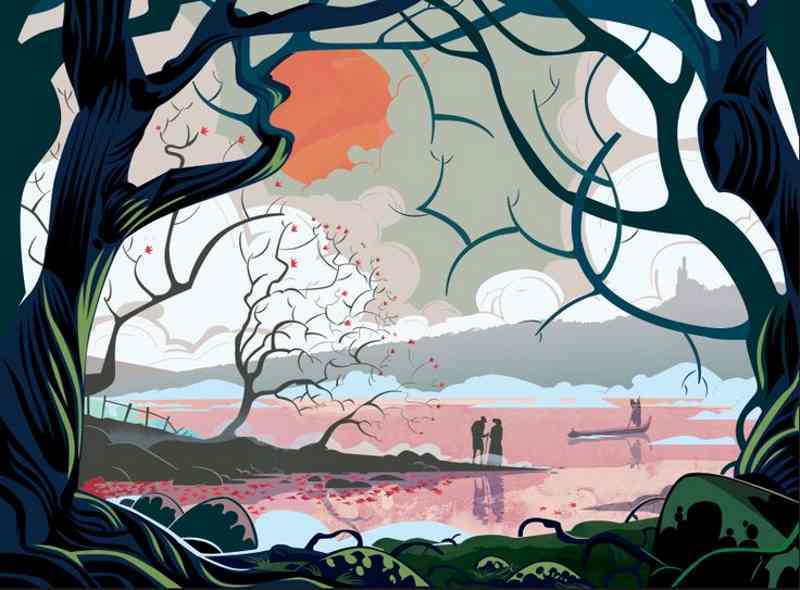 The Buried Giant is no swords and sorcery epic, but a novel of rare and delicate beauty. Fantasy in setting, mythic in tone, but relevant to today, with a deep emotional resonance, I doubt I’ll read a better novel this year. The wonderful illustration used at the top of this piece is by British illustrator Robert Ball. He has all sorts of equally awesome and geeky works of art at on his blog and at robertmball.com. Thank you so much for this thoughtful read. I’d seen a few negative reviews in the mainstream press, but I love Ishiguro, and am now encouraged to read the book! Have you by chance read Iain Pear’s Arcadia? Also a departure from his previous work — SciFi/Fantasy rather than literary mystery — and ultimately a success, though I had doubts along the way. Happy Reading, and definitely check out the Buried Giant!